JAX, a popular European conference brand, is traveling to the US under the moniker JAXConf. 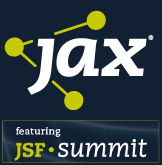 It will be hosted in connection with JSF Summit next week (Jun 20 - 23) in San Jose, CA. And a JBoss storm is colliding with it full force! If you're attending, you'll have plenty of opportunity to learn about Java EE 6, CDI, JSF and a plethora of JBoss technologies (Seam 3, Weld, RichFaces, JBoss AS 7, Forge, Drools, OpenShift and Ceylon) from our clan of speakers. Java EE on Google App Engine: CDI to the Rescue! Many of our community friends will also be speaking, including Matthew McCullough, Andy Schwartz, Daniel Hinojosa, Max Katz, Kito Mann and, well, too many more to mention. It's a solid line up! Check out the speaker list for a full list of sessions. If you're not attending, but in the area, check your schedule! 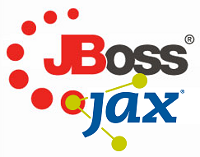 We're sponsering the JBoss Day event that anyone can attend for free! Just sign up! I'll kick off the afternoon and we'll launch into talks on mobile web development, Drools, AS 7 and more. Don't miss it! Come geek out with us! The biggest news is that the first candidate release of JBoss AS 7 is slated to strike ground midweek, so be sure to attend JBoss Day or visit the JBoss booth (#313) to learn what makes it so electifying! At the booth you can also learn about the upcoming EAP 6 from Jason Andersen and Ashesh Badani. Also drop by the JBoss booth to meet the OpenShift team to get your app into the cloud. OpenShift is a PaaS for developers who love to build on open source, but don't need the hassle of building and maintaining infrastructure. Bring your language of choice! See ya in the Golden State! If you can't make it in person, we invite you to follow @JBossNews on twitter. Look for the hashtags #jaxconf and #jbossas7.